Why will the internet keep on reminding us of an event that long finished since yesterday? By now, you already know about the #baad2017 so I’m not going to drag it anymore! 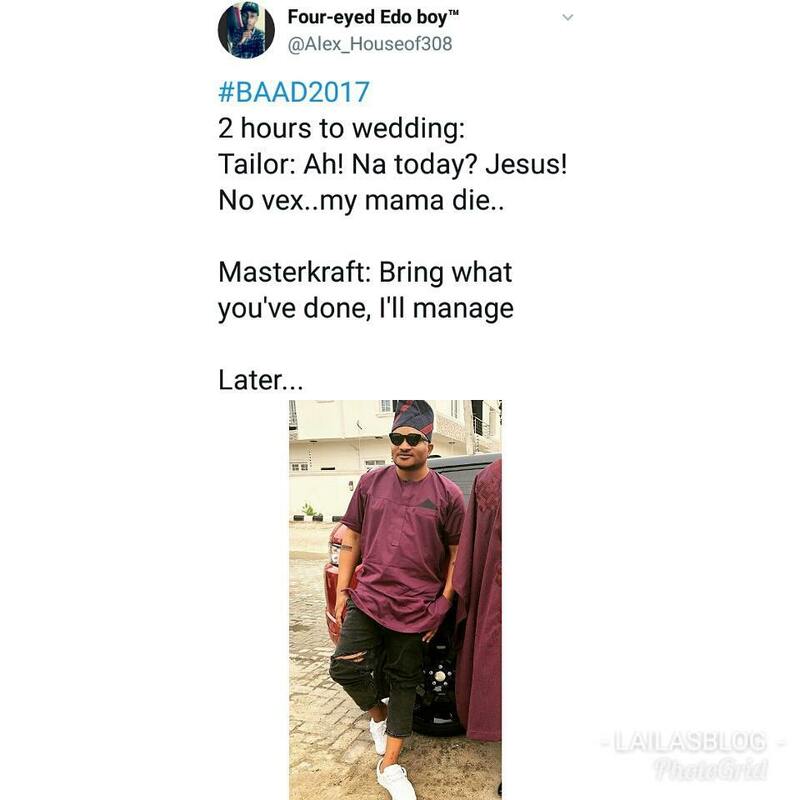 So, the savage tweets just made us realise how Masterkraft was the worst dressed. We won’t let this slide so easily without commending Ebuka Obi-Uchendu who was one of the best-dressed men. For Masterkraft one of the best producers in the music industry didn’t see this savagery coming! Didn’t he realise that all the Nigerians attended #Baad2017? I’m not surprised Twitter users were dragging him and his tailor because they were disappointed with his outfit! See what others are tweeting about his style! Mastercraft: help me sew nice native wey 2k fit afford. I’m literally crying because these tweets were from the bottom of their hearts. If Masterkraft had gone for the same colour of bottoms and black corporate shoes, it might have been more appropriate. Maria Borges takes to The Victoria’s Secret Show After Party wearing Tiffany Amber!